In this volume Mikeal C. Parsons provides an overview of Luke and Acts, reading Luke and Acts in the context of ancient rhetorical criticism as practiced in the Hellenistic world. Parsons first compares Luke's storytelling with narrative techniques of ancient rhetoric. He next compares Luke's interpretation of Jewish sources within the social conventions of Luke's day. 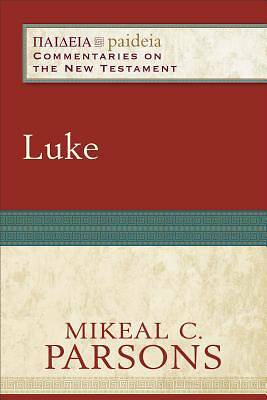 Finally, Parsons profiles Luke's specific evangelistic theological artistry, one in which Luke creatively uses Isaiah to call for the conversion of the Gentiles. The depth and breadth of Parson's chapters root Luke's narrative strategy, interpretive moves, and theological imagination in the pagan, Jewish, and Christian contexts of the period.